The many holiday parks across the UK are often the sites that are most in need of grass protection and ground reinforcement. Frequently subjected to high levels of traffic, the roads and parking areas at holiday parks can soon become rutted and unstable when the weather turns wet. Groundtrax offer a range of ground protection and reinforcement solutions to protect your holiday park, ensuring your guests enjoy a safe and hassle-free visit and that your site looks great all year round. 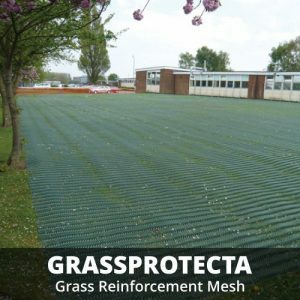 GrassProtecta grass reinforcement mesh is a heavy duty thick slip resistant polyethylene plastic mesh grid for reinforcing and protecting grassed surfaces prone to wear, rutting and smearing which can result in a muddy surface incapable of withstanding vehicular or pedestrian traffic applications. GrassProtecta is a great solution for low to medium traffic areas and where the ground is free-draining. Simply roll out across the area and pin down with our Steel U-Pins or if you prefer, you can use our plastic GRM Pegs. 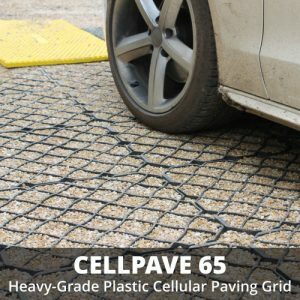 CellPave™ 65 heavy grade paving grids – the ideal solution for intensive car parking and HGV roadway access areas. A high strength, high specification product made in the UK. 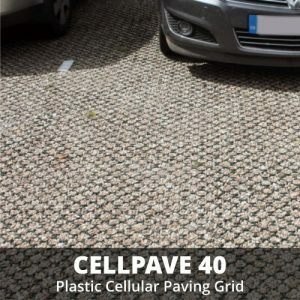 Capable of withstanding heavy loads, particularly when filled with gravel, CellPave™ 65 will promote healthy grass growth due to the extra depth of the paver. Channel cut-outs in the wall structure of CellPave™ 65 encourage root growth and also help to drain water efficiently from the grids. With campers often only staying for a night or two before moving onto their next stop, camping sites have a high turnover of guests. Every time a guest arrives or leaves the campsite surface is subjected to wear from vehicles, which can cause serious damage. 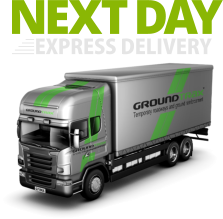 Our GrassProtecta ground reinforcement mesh is perfectly suited for such applications, offering ample support for light vehicles and pedestrian traffic. 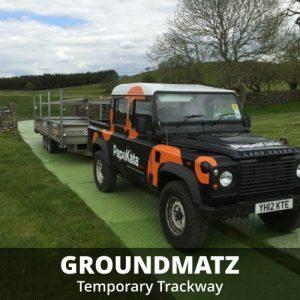 For heavier traffic and entrance areas, our GroundMatz ground protection mats are ideally suited. Caravan sites are exposed to the same demands as camp sites in terms of the number of guests. 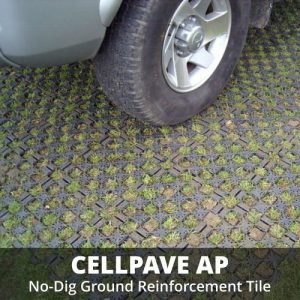 However, the size and weight of caravans means that the roadways and parking areas are subjected to an even greater amount of erosion – a problem that can be overcome through the installation of CellPave AP, a no-dig solution for grassed areas or BodPave 85, a plastic cellular paver that can be either back-filled with soil and seed or with gravel. Many of the holiday villages throughout the UK are situated in woodland areas to add to the aesthetics of the surroundings. This type of environment can however prove problematic during wet weather, with roads soon becoming rutted and turning to mud. 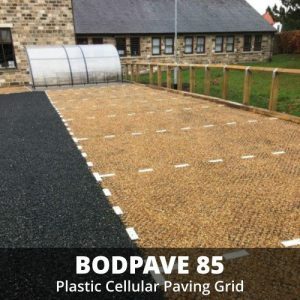 GrassProtecta, CellPave AP, CellPave 40, and BodPave 85 are all capable of providing a suitable solution to conditions typically found in woodland holiday villages.